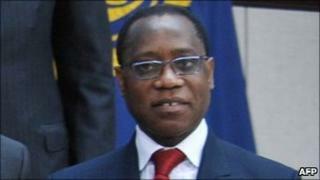 Nigeria's economy will hit double-digit growth by the end of 2011 or early 2012, the country's finance minister has told the BBC. Olusegun Aganga's prediction comes after the Nigerian economy grew by more than 7% in the first half of this year. Mr Aganga said the government's ambitious programme to build new infrastructure and to privatise the power sector would help growth. He also said investors from all over the world were interested in Nigeria. BBC World Service's Africa editor Martin Plaut said Nigeria was once a byword for coups and corruption. But Mr Aganga, a former managing editor at Goldman Sachs, said investors were now pounding at his door. "There's no week that I don't see two, three, four major investors from other parts of the world. Brazil, Germany even China, all these other countries. All of them bringing or wanting to come and invest in the country," he said. If the country's infrastructure and privatisation programme is successfully implemented, he said he expects growth of 10% by 2012.